I purchased the Google Home Mini for my husband's birthday & I have nothing but great things to say about it. My husband and I both are in the tech industry so most of our conversations are based on the latest technology lol! He loves reading about all the latest innovations and if he would try it out the product or not. So when he found out about the Google Home Mini -- I thought it would be a great opportunity to try it out. 1. It's affordable -- I purchased ours from Best Buy at $49 so the price ranges from $38 to $50 depending on where you purchase it and what time of year you make the purchase. 2. Smart Home Starter -- My husband is really big on purchasing all the necessary tools in order to make our house a "smart home" from light bulbs to AC interface (like the Nest for example) The Google Home can easily connect with all the smart devices in order to turn on a light switch or lower the AC. 3. The girls LOVE IT -- Of course in kid fashion they repeat everything that we say. Our girls LOVE saying "Google OFF" "GOOGLE play middle" -- currently their favorite song is "The Middle" by Zedd lol!! Google doesn't understand their language but it's very fun to watch them scream at Google. 4. We can stream our music from the Google Mini from Spotify and Pandora. The girls love listening to their favorite songs on it and we also love to start our mornings with a random throwback playlist. If you haven't checked out BabyJamz -- I'm telling you it's a BANGER in our house. Overall, Google Home has been a great asset to our home, it's super affordable and I would recommend it to all of my friends. 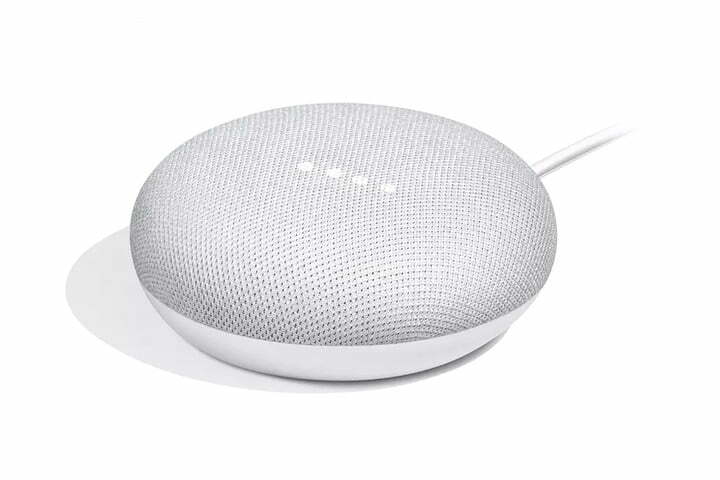 If you are loving for a gift for your tech friend or spouse I would suggest starting with the Google Home and building from there.